Welcome to another fun and exciting episode of Attack of the Androids. Mat, Nick and I are back this week after a few weeks off, and we couldn’t be happier to talk about the latest Android news! If you’d like to help us grow this wonderful podcast, go out and leave us a review on iTunes, follow us on Twitter, or come hang out with us in our Google+ community. You can (and should) also join us LIVE every Tuesday in our official irc chat room, #aota on Freenode. Without further adieu, strap in and get ready for AOTA! Happy new year and welcome to 2015, the official year of The Attack of the Androids. This week Mat, Nick and I will be making our way through all of the best Android (and CES) news of the past few weeks. We’d really love it if you left us a review on iTunes, followed us on Twitter, or joined our community on Google Plus. You can also join us LIVE every Tuesday in our official chat room at irc.freenode.net #aota. It’s always a fun time in the AOTA chat room! Let’s get started! It’s that time again for another episode of Attack of the Androids. Our 123rd episode features Mat Lee, Eric Finkenbiner, Nick Carroll and Shane Brady and we’re talking all about the latest Android news from the past week. If you haven’t already, follow us on Twitter and write us a quick review in iTunes! Mat Lee and Eric Finkenbiner back at it for episode 111 of our weekly Android show, AotA. Reach out and touch someone! 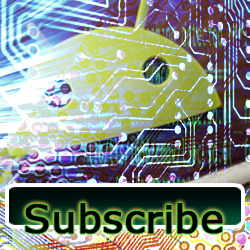 Make sure to join the Attack of the Androids Google+ community, follow us on Twitter, and like the Facebook page. Other than that, just sit back and enjoy the show. On tonight’s episode we talk about the latest Android news of the week including the Avegant Glyph Kickstarter, Roman Birg going to Cyanogen Inc, Eric’s Oppo N1 problem, more storage please, Nokia Android phones, this week’s app picks, and so much more. Thanks for checking out the show. Enjoy the show notes commentary. This is episode 88 of Attack of the Androids. Thanks for checking it out. I’m Mat Lee joined by Eric Finkenbiner and Nick Carroll talking about the latest Android news of the week including Android 4.3 notifications and third parties, Google Glass and the Tesla S, Facebook leaking your data all over the place, the rumored Motorola x phone, our app picks and so much more. I’m not even going to waste anymore time typing here. Just listen and check out the notes and we’ll see you Tuesday for another episode.